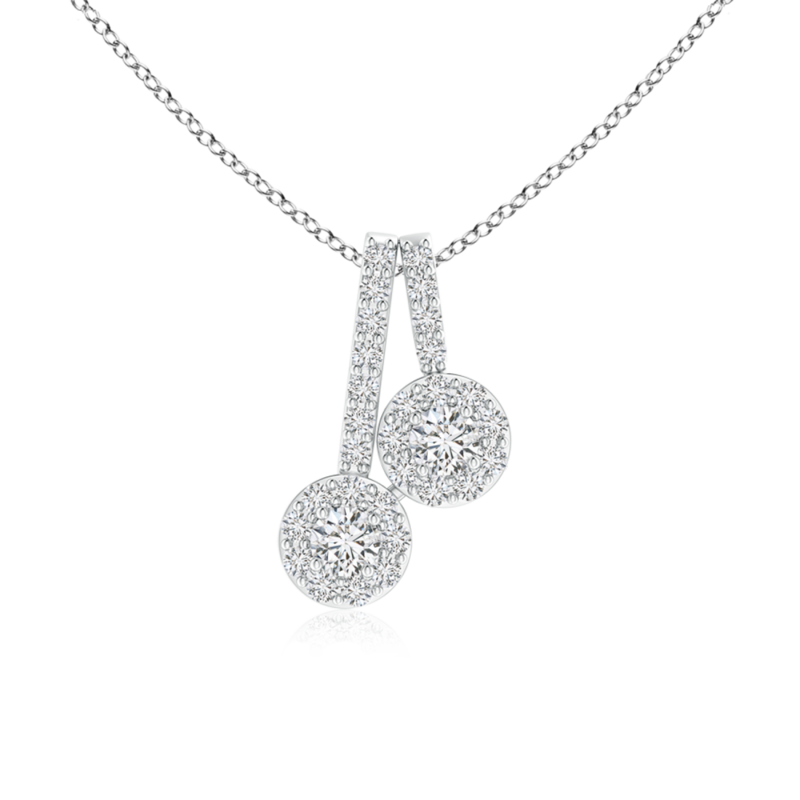 A beautiful representation of true love, this two stone diamond pendant is designed in 14k gold. The lab grown diamonds in the center are encircled with halos of many more round diamonds for a dazzling look. For added sparkle, the double bale is accented with tiny diamonds in linear pattern.